Looking for that cheap, healthy and easy-to-carry food to boost your health while on the go? Consider bananas. Bananas offer vitamins A, C and B6, potassium, magnesium, folate, riboflavin, niacin, thiamine, as well as iron, proteins, carbohydrates, fats and fibers. With its high nutritional contents, the fruit gives a number of health benefits when consumed. Bananas are known to help improve digestion. Vitamin B6​ contributes to that benefit by metabolizing carbohydrates and fats. It also helps remove unwanted chemicals from the liver and kidneys and keeps the nervous system healthy. When talking about sources of vitamin C, bananas are commonly not part of the list. But it actually contains the vitamin. 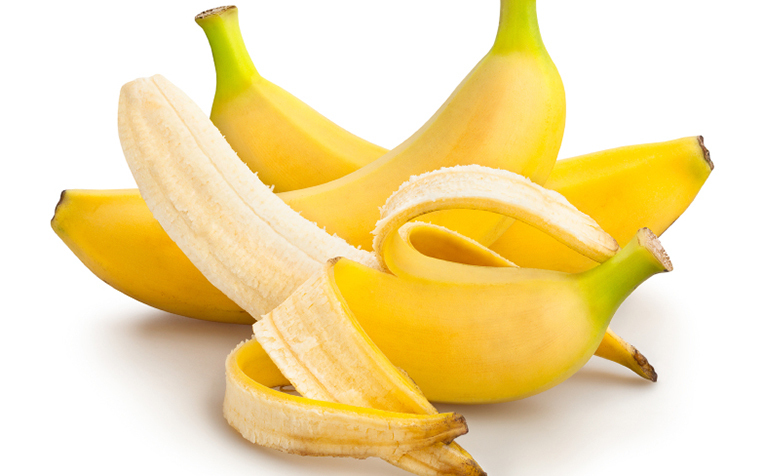 A medium-sized banana provides up to 10 percent of your daily vitamin C needs. Vitamin C helps prevent cell and tissue damage and it also has a role in the production of collagen, which holds your skin, bones and body together, as well as serotonin that affects sleep and mood. One medium-sized banana offers up to 13 percent of your daily manganese needs. Manganese also helps in production of collagen, which protects skin and other cells against free radical damage. Bananas help maintain a healthy heart and nervous system. The potassium from the fruit supports muscle contraction in the body and keeps the heart rate normal while keeping the blood pressure low, according to Tempo.co. Being rich in potassium, bananas help regulate blood pressure and prevent kidney stones and bone loss. The fruit gives the same benefits to babies and children, mainly preventing them from suffering a deficiency of nutrients, according to Verywell Family. Bananas can also help avoid weight gain and give the body more energy in adults and babies. The fruit contains fiber that promotes better bowel movements. Eating a banana gives 12 percent of the body’s daily fiber needs. Bananas have sucrose, fructose and glucose. The presence of these natural sugars offer benefits to children and athletes who need a great amount of energy for their daily activities.